ARE YOU A CONSTRUCTION LIENOR? 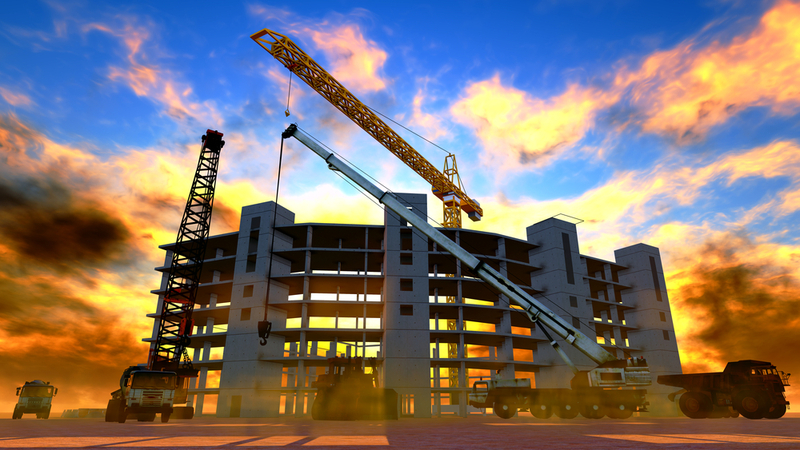 When it comes to construction lien rights, not everyone that touches the project is a proper lienor. Forget about timely serving a Notice to Owner or recording a claim of lien, if you are not a proper lienor, it does not matter if you properly perfected your lien rights. If you are not a proper lienor, you have NO lien rights under the law! A contractor is one other than a materialman (supplier) or laborer that enters into a contract with the owner to improve the owner’s property. A contractor can be a design-builder. Fla. Stat. s. 713.01(8). A subcontractor is one other than a materialman (supplier) or laborer who is hired by the contractor. This definition would include a labor company that furnishes skilled or unskilled labor. Fla. Stat. s. 713.01(28). A sub-subcontractor is one other than a materialman (supplier) or laborer who is hired by the subcontractor. Fla. Stat. s. 713.01(29). This definition would also include a labor company. A laborer is a person (excluding a professional) that enters into a contract to personally perform improvements to the property. Fla. Stat. s. 713.01(16). This definition would not include a labor company. See V L Orlando Bldg. Corp. v. Skilled Services Corp., 769 So.2d 526 (Fla. 5th DCA 2000). A materialman (supplier) furnishes materials to an owner, contractor, subcontractor, or sub-subcontractor but does not perform labor. Fla. Stat. s. 713.01(20). This includes a supplier of rental equipment. Fla. Stat. s. 713.01(13). A professional lienor is an architect, landscape architect, engineer, interior designer, or surveyor and mapper who has a direct contract with the owner or performs professional services that improves the real property. Fla. Stat. s. 713.03. You can also check out this chart for guidance. Make sure to consult with counsel if you have questions regarding your lien rights. There is no reason not to. WARNING: YOUR FAILURE TO FURNISH THE REQUESTED STATEMENT, SIGNED UNDER OATH, WITHIN 30 DAYS OR THE FURNISHING OF A FALSE STATEMENT WILL RESULT IN THE LOSS OF YOUR LIEN. The undersigned hereby demands a written statement under oath of his or her account showing the nature of the labor or services performed and to be performed, if any, the materials furnished, the materials to be furnished, if known, the amount paid on account to date, the amount due, and the amount to become due, if known, as of the date of the statement for the improvement of real property identified as (property description) . From both an owner and lienor’s perspective, the bolded, capitalized language is key. It states that if the lienor fails to respond under oath within 30 days, it will LOSE its lien. That is a very punitive measure for a lienor’s failure to respond, meaning a lienor should absolutely respond, no questions asked. Plus, a lienor’s response to a Request for Sworn Statement of Account is not a burdensome ordeal. It is pretty simple, as exemplified in the response form below. [Lienor] performed _____________ at the Owner’s project. [Lienor] has been paid $________ to date. The principal amount remaining due and owing [Lienor] is $___________. The amount to become due to [Lienor] is $______________. Sworn to and subscribed before me this ____ day of _______, by ________ of [Lienor], who is personally known to me and who did take an oath. Again, a lienor’s failure to respond under oath will result in a LOSS of its lien and court’s have not been sympathetic to a lienor’s failure to properly or timely respond. See, e.g., Palmer Elec. Services, Inc. v. Filler, 482 So.2d 509 (Fla. 2d DCA 1986) (lienor lost lien by failing to respond to owner’s Request for Sworn Statement, even though request failed to recite statute or the bolded and capitalized warning); accord Stresscon v. Madiedo, 582 So.2d 158 (Fla. 1991) (affirming that lienor’s failure to respond under oath to Request for Sworn Statement of Account is fatal to its lien and cannot be cured after-the-fact); Gonas v. Home Elec. of Dade County, Inc., 537 So.2d 490 (Fla. 3d DCA 1988) (reversing summary judgment in favor of lienor because lienor failed to respond to Request for Sworn Statement of Account even though Request did not specify statute or include the bolded and capitalized warning) aff’d by Home Elec. of Dade County, Inv. V. Gonas, 547 So.2d 209 (Fla. 1989). 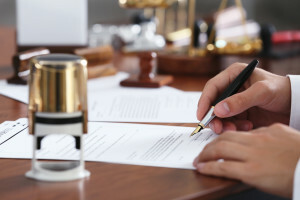 There are only two instances when a lienor does not have to respond to an Owner’s Request for Sworn Statement of Account: (1) the lienor has already filed its lien foreclosure lawsuit – the Request for Sworn Statement was served on the liener after the lienor filed suit or (2) the Owner has already served a Request for Sworn Statement of Account and the lienor’s response will be the same as a prior response. Even with these two instances, a lienor should always make it a habit to respond because, as shown above, the response is uncomplicated. And, it is always advisable for a lienor to work with counsel to ensure its response is perfected and served since the failure to do so will result in the punitive loss of its lien.